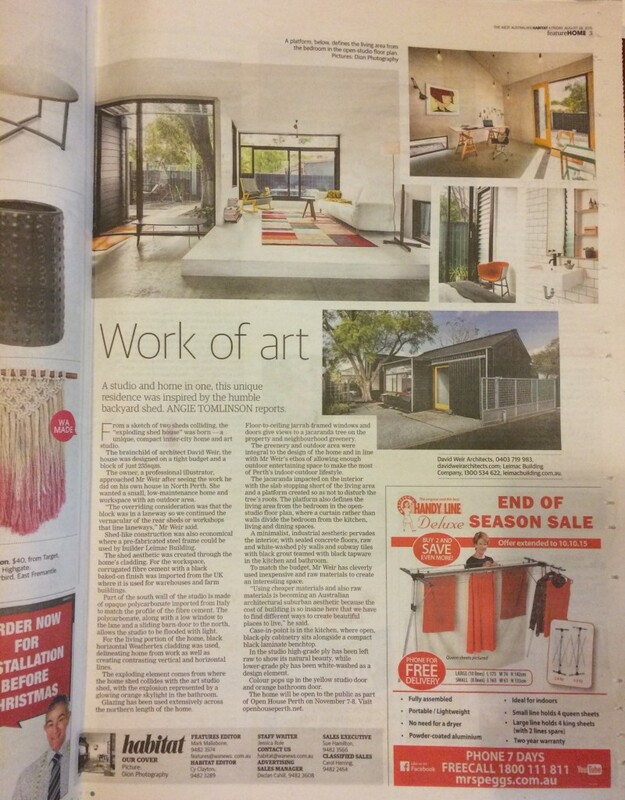 A “little house” in Subiaco constructed by Leimac Building has been featured in The West Australian’s Habitat liftout. Journalist Anglie Tomlinson described the studio and home as a “work of art”. “The brainchild of architect David Weir, the house was designed on a tight budget and a block of just 235sqm,” writes Jessica. 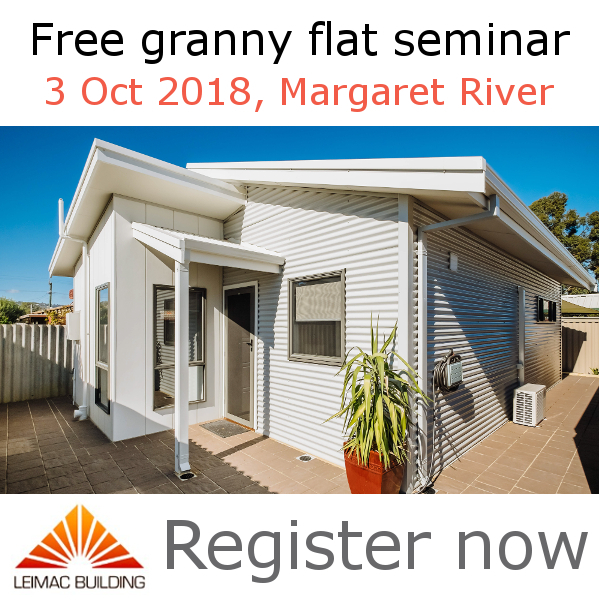 Director of Leimac Building confirmed that although the budget was tight, his building company was able to deliver savings by product using a pre-fabricated steel frame, without compromising on the quality of the finished home. The project was nicknamed the “exploding shed” by David, to describe how the home portion of the design “collides” with the art studio, and marked by a striking orange skylight in the bathroom. Colour “pops” have also been used on the studio and bathroom doors to contrast the natural materials used elsewhere throughout the little house and studio. 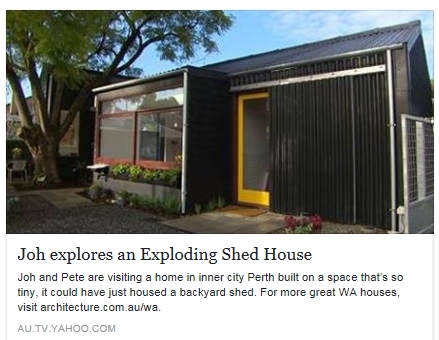 The home and studio has also been featured on design-estate and was in the opening line-up for the Open House event in Perth. To enlist Leimac Building for your next home project, no matter how big or small, call us on 08 97 555 900. This home in inner city Perth is built on a space as small as a backyard shed. The design is genius, and it looks good too! As reviewed by Better Homes and Gardens… Watch the episode here.